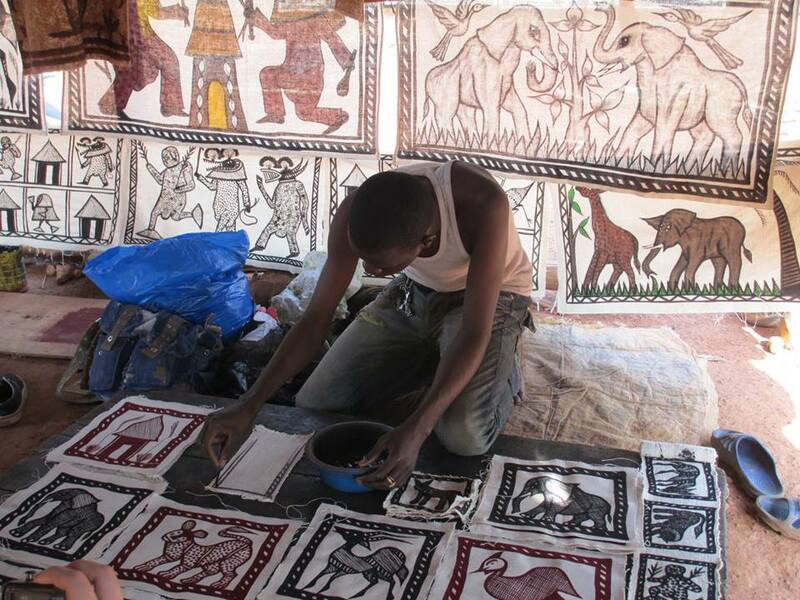 Korhogo is a type of mud cloth that originates from Korhogo in Côte d’Ivoire. 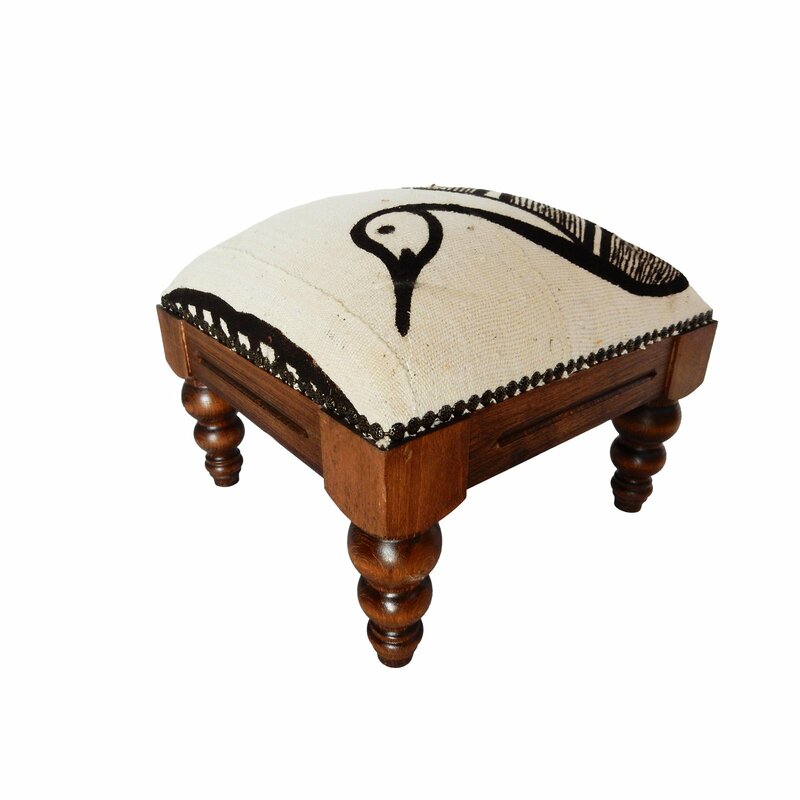 Made by the Senufo people, the textile is a hand-woven and hand-spun cotton fabric decorated with hand-painted designs. 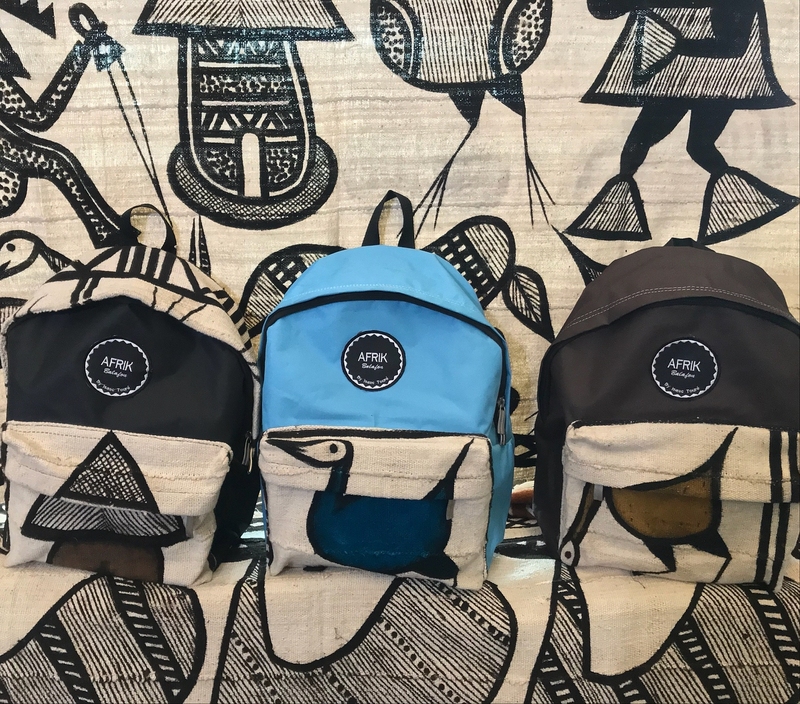 The captivating symbolism and imagery that’s featured on the Korhogo is steeped in Senufo folklore and beliefs. 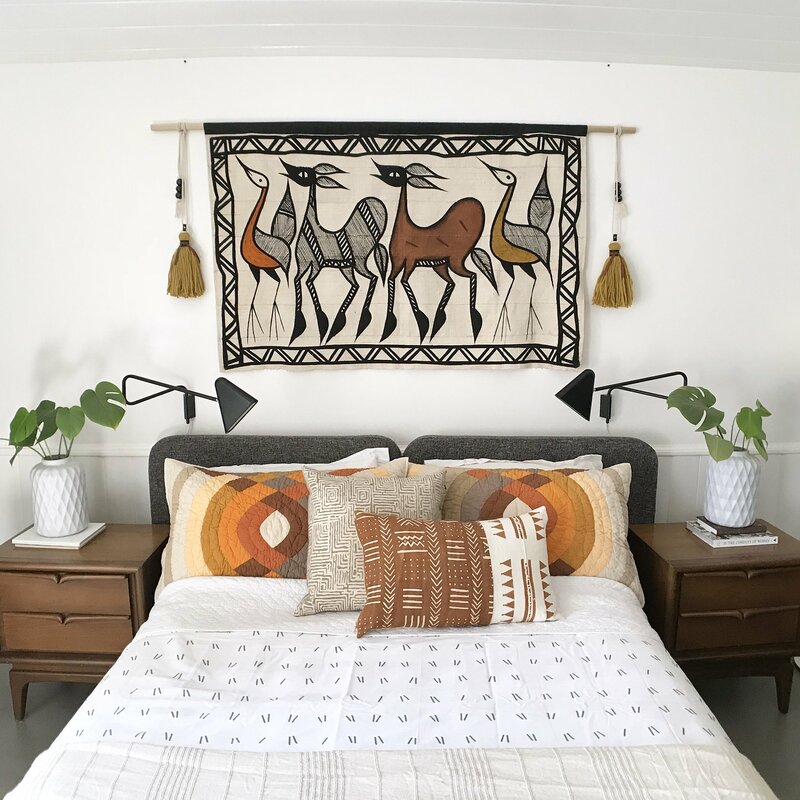 Like the Bògòlanfini of Mali, the Korhogo tends to be in earthy tones such as creams, browns and blacks. 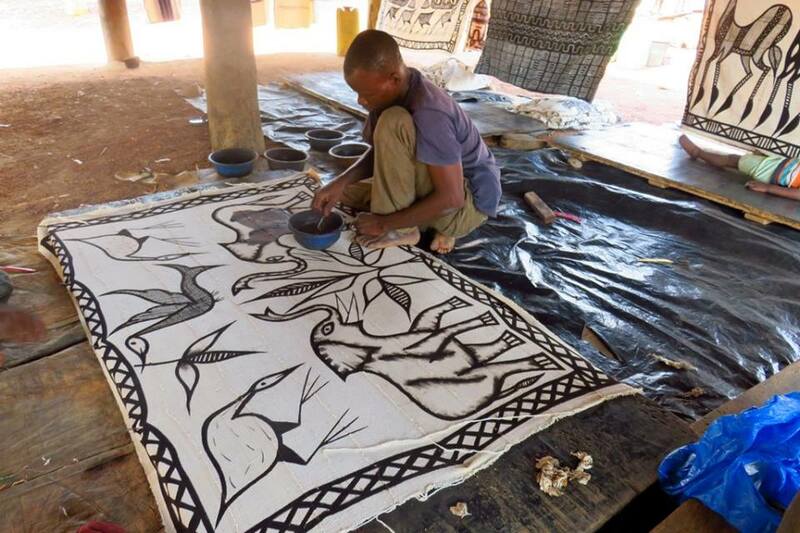 Using fermented mud and natural vegetable pigment, the artists use simple tools to draw animal, celestial and human forms on the cotton strips of fabric, sews together to make a large hanging. 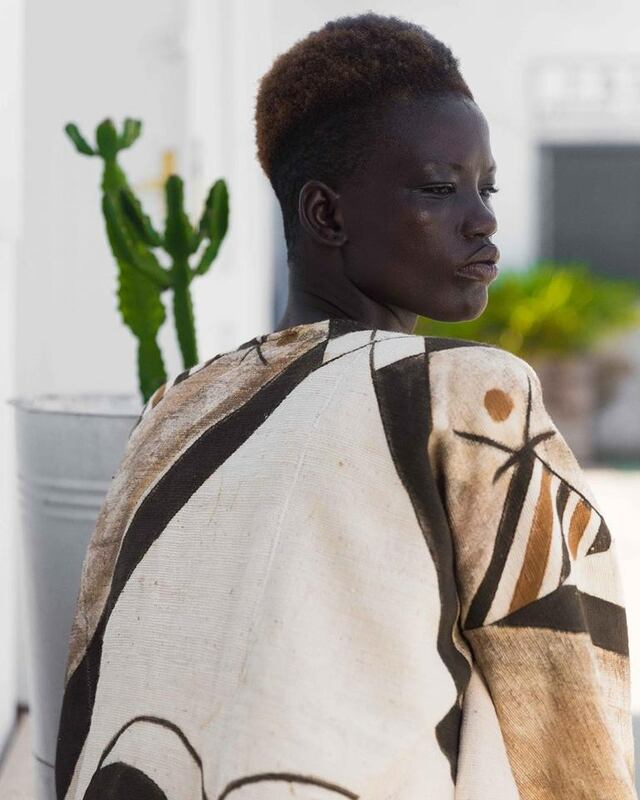 According to ‘African Fabrics – Sewing Contemporary Fashion with Ethnic Flair’, the designs are influenced by paintings that were used to decorate shrines in the past. Due to the elements, these painting would wear off with time. Thus, the Senufo decided to transfer them to cloth to prolong their lifespan. This established an indigenous industry to produce the fabric. The production process was divided between men and women. While they both tended to the cotton plants, it was the women’s job to clean the harvested cotton and spin it into yarn. They would also make the dyes used in the decorating process. The men would weave the yarn into strips using hand looms. Each strip would be about four inches wide, and they would be sewn together to create a lager canvas. Then, they would stretch out the cloth on a flat surface for the pattern phase. Male artists would conduct this stage of the process without a preliminary sketch or template. A knife would be used as the dye applicator to create the first fine lines. They would then go over these lines to darken and reinforce the mud applications. According to the African Journal of Applies Research (AJAR), the first type of dye is created by mixing decayed swamp mud sources from tree roots with boiled leaves. It’s an iron-bonding agent found in the mud that causes the fibres to absorb and hold the dye. Hence, the permanent colour. The dye is then hand-painted onto the woven cloth. Alternatively, a yellow-solution fashioned from the nigeneme tree is used to draw the designs directly onto the cloth. The cloth is then submerged into black dye extracted from a muddy place found in a stream bed. Once it’s taken out of the dye, the cloth is washed. Only the part of the cloth that were covered with the nigeneme solution will retain the dark dye. Additionally, it permanently fuses the dye to the cloth. Lastly there is the option to use a mixture of dyes with a combination of lemon juice and banga (which is a strong solution that permanently fuses the dye to the fabric). This last technique creates a dye with magenta-red hues. Regardless of the dye technique used, the dye is said to darken over time. It’s believed that there are over 80 motifs in existence. Makers carefully select which motifs they will use on the cloth as their individual meanings are combined to create a story. 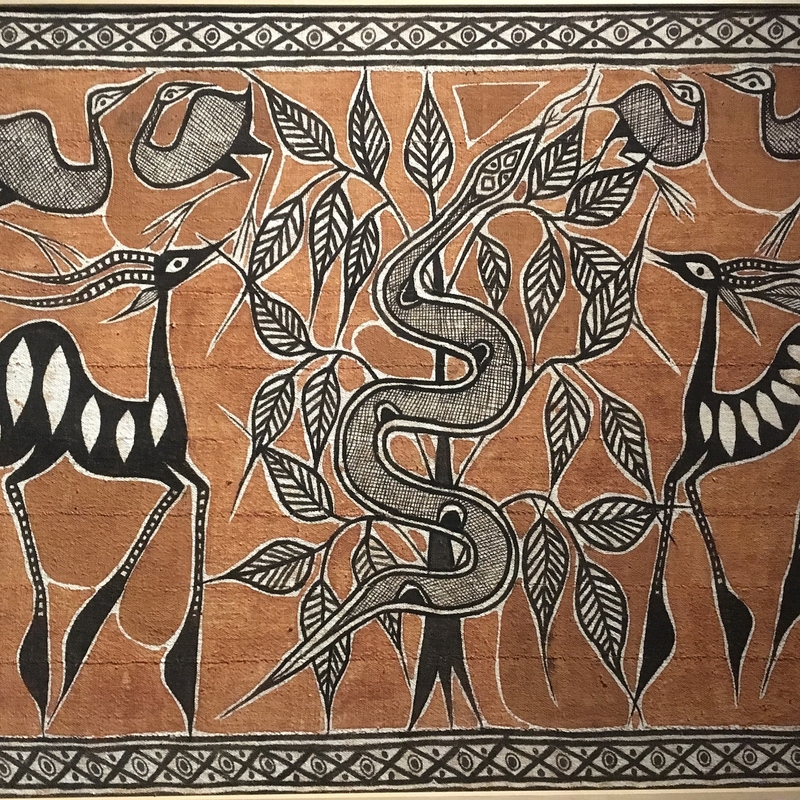 Some of the most popular motifs include the chicken (maternity), lion (royal power), goat (male prowess), birds (freedom), guinea fowl (inner beauty), as well as the sun, moon and stars (the first things God created). 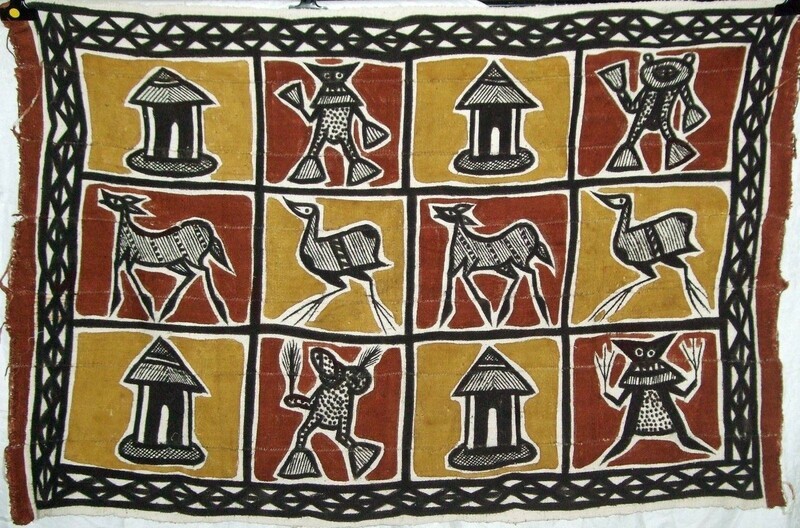 You can see more popular Korhogo symbols and their meanings here. At a glance, the artistic display may bring the works of Picasso to mind. Interestingly, the artist did visit the country in the 1930s. 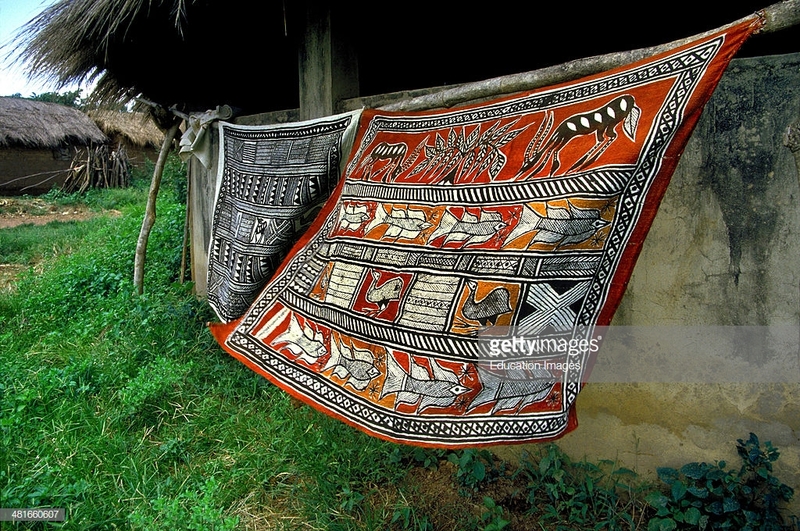 Originally, the cloth was believed to shield the Senufo people from vengeful spirits. Sando diviners would often recommends that they be worn or hung in people’s homes as protective charms. The Korhogo cloths were also incorporated in rite of passage ceremonies and funerals. 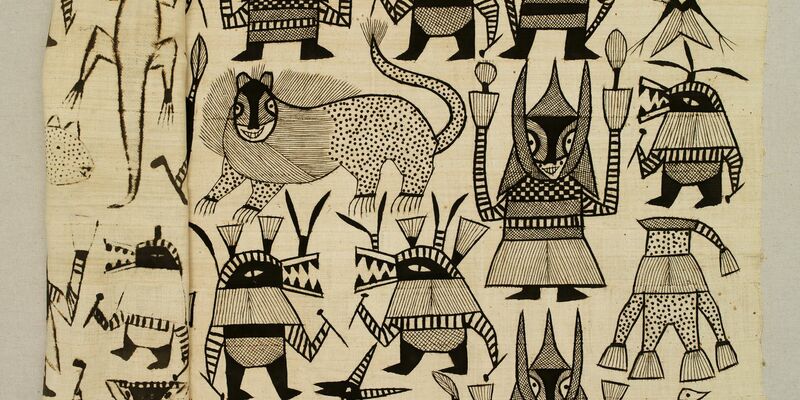 Important heroic figures such as hunters and the secret Poro society would often commission Korhogo cloths for themselves as well. The former would wear it as protection, as well as, camouflage on their trips. While the latter used the cloth to make graduation robes for men coming of age. The early 1970s saw the American Peace Corp encouraging the Senufo to explore new means of production. That way, it would appeal to the tourist market while sustaining the tradition. The first changes saw the move away from strips and instead utilising one single cloth. Another change came with the scale of the symbols painted. Originally, they were much smaller than what is seen today. 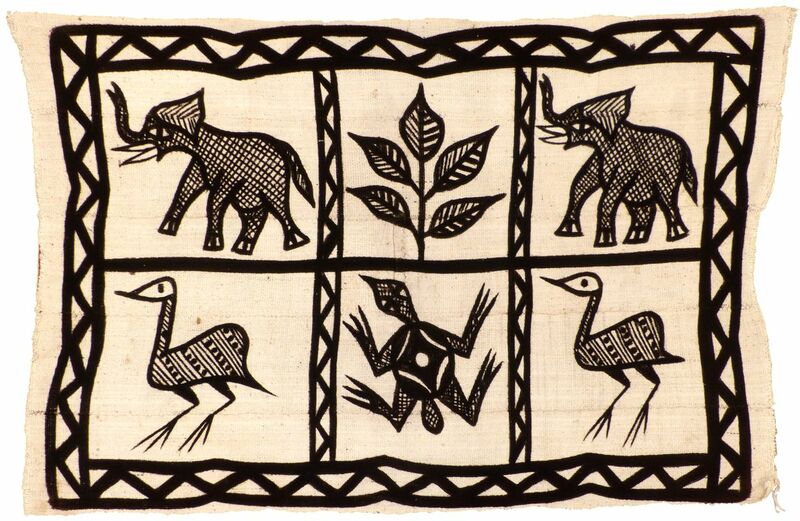 As the Korhogo cloth was increasingly gaining popularity as a wall hangings, the designs became larger. It’s not uncommon to see the cloth used in interior décor and fashion. They can be used on their own or hung against a different fabric to augment its rich appearance. However, it’s not as widely used as the Mali mud cloth. 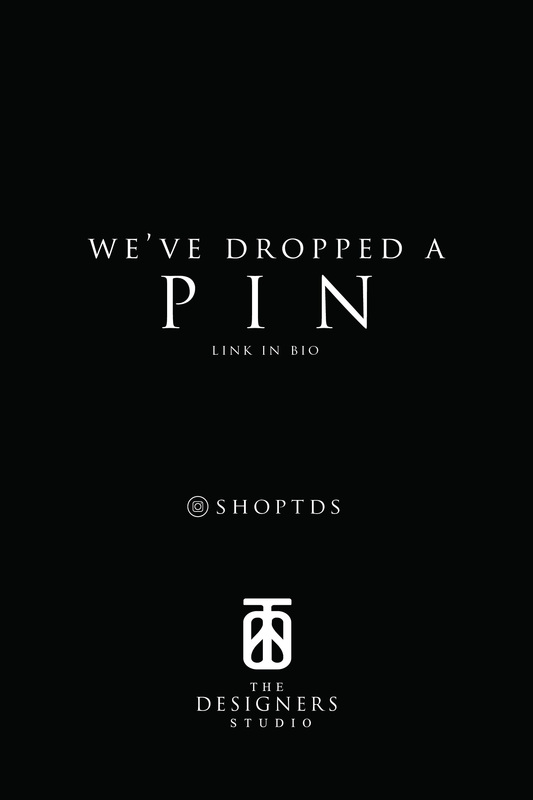 If you are a designer who has used it in a collection or know of one, share with us your work and what this cloth means to you.